Autohandel Bella Italia has been founded in the beginning of 2016. 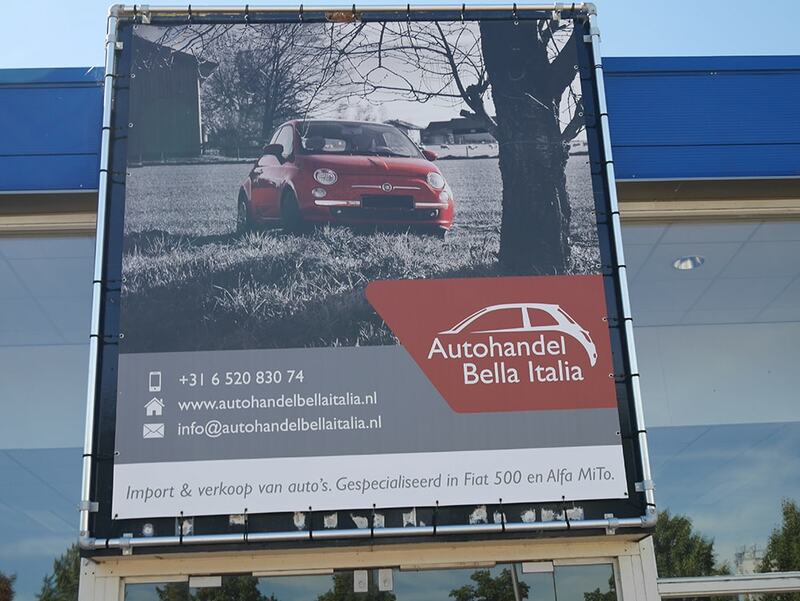 Autohandel Bella Italia is a Dutch car trading company, specialising in Italian cars like Fiat 500 and Alfa Romeo MiTo. Their showroom is located in Coevorden, a town in the eastern part of the Netherlands. Autohandel Bella Italia asked Brightsol to develop a website for their brand new company. 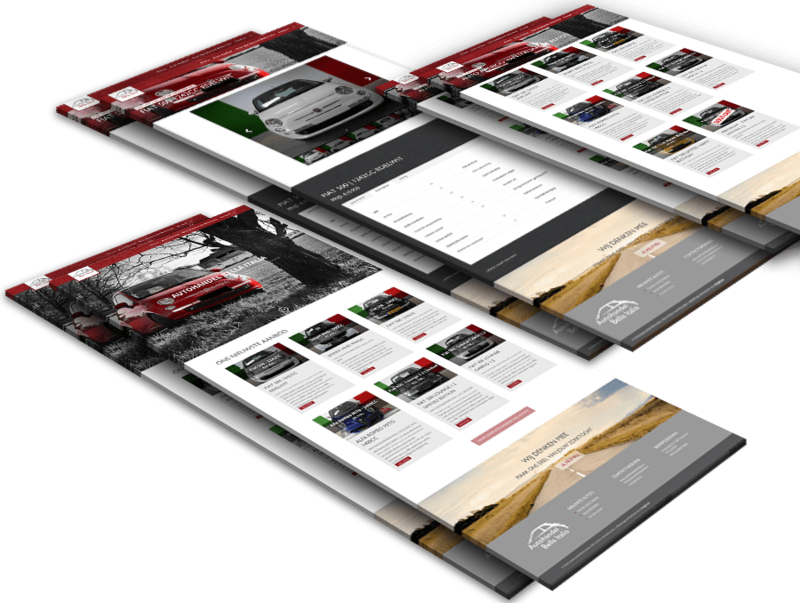 It needed to be a website only focussed on selling cars. We built their website with WordPress and the Divi Theme. Autohandel Bella Italia being a brand new company didn’t have a corporate identity so that’s we created. Being part of their corporate identity we created their logo and business cards. 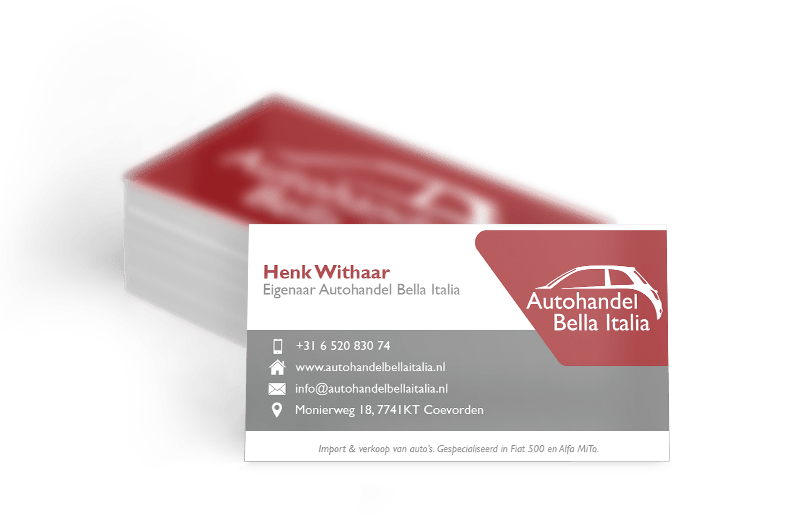 As signing of Autohandel Bella Italia’s showroom front Brightsol designed a PVC banner (255cm x 275cm) based on the design of the business cards.